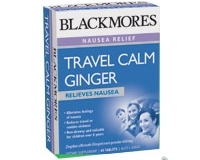 Blackmores Travel Calm Ginger, when taken prior to travelling, helps to reduce symptoms such as nausea, vomiting, vertigo and cold sweats associated with motion sickness. 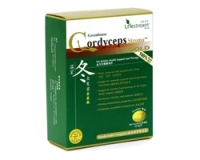 It may help reduce the symptoms of gastrointestinal upset from other causes and may have a settling effect on the stomach. - Suitable for children over 6 years of age. Adults - Take 2 to 3 tablets ½ an hour before travelling; then 1 tablet every 2 hours. Children 6-12 years – Take 2 tablets 30 minutes before travelling, then ½ to 1 tablet every 2 hours, depending on severity. Under 6 years – Only as professionally prescribed.